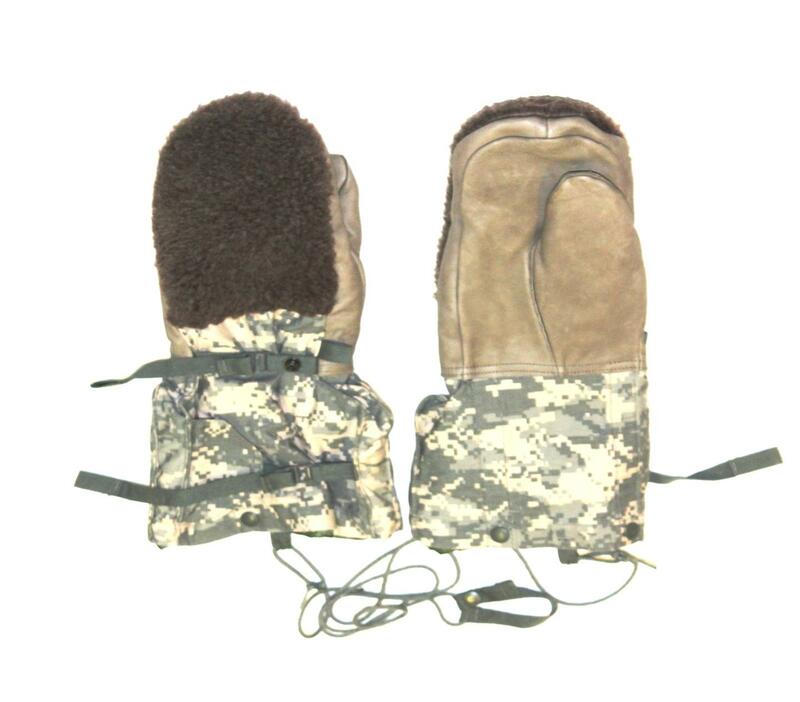 The arctic mitten set is intended for use with other component of arctic clothig under cold dry conditions. Deerskin leather is used on the palm side walls and front of thumb. The outer fabric for the mitten shell is a cotton and nylon wind-resistant, water-repellent sateen. The cloth outer piece is a 100% wool knitted pile fabric. The insulating material is a polyester batting. The mitten set is worn over the triger finger wool mitten insert to provide environmental protection to the hands in cold environments. 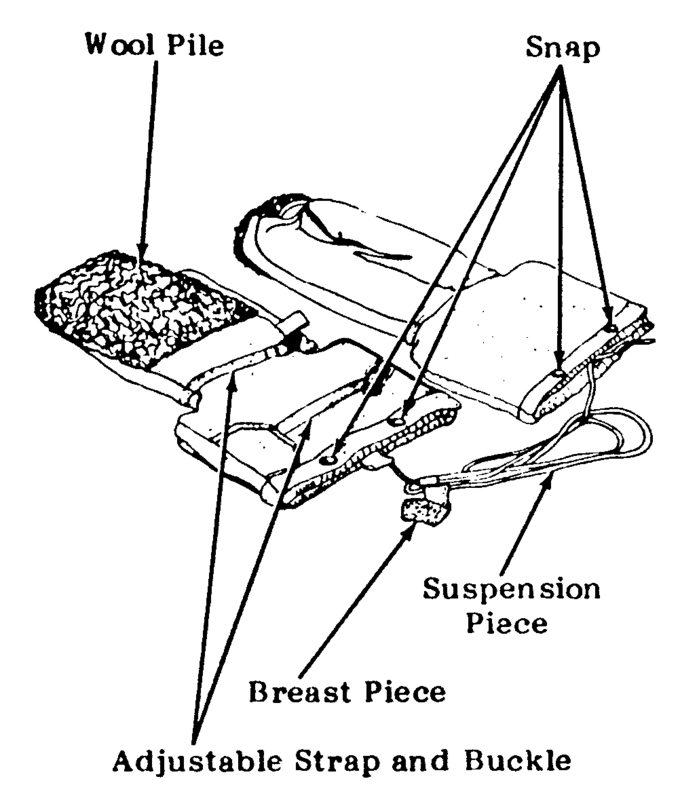 The suspension harness is worn over an outer garment. The cord is placed around the neck and the strap is adjusted to lay on the chest to keep the cord in place. The ends of the cord are tied to the loop on the outer shell of each mitten. The outer shell of the mitten set can be separated from the insulating liner for drying. The mitten set consists of a shell with removable liner and a suspension harness. The palm and front of thumb of the shell is leather. The remainder of the mitten is fabric. The back of mitten shell includes a wool pile material used for warming the face. Two adjustable straps and buckles are included at back of mitten. The liner is attached to the shell by four snaps. The harness includes a suspension piece (cord) and a breast piece (strap). N-4B Flyer's Mitten Set, conforming to MIL-M-6269.